In order to enliven the zest of patriotism and loyalty, we have come up with the ritzy reprisal of famous Captain America’s costume. 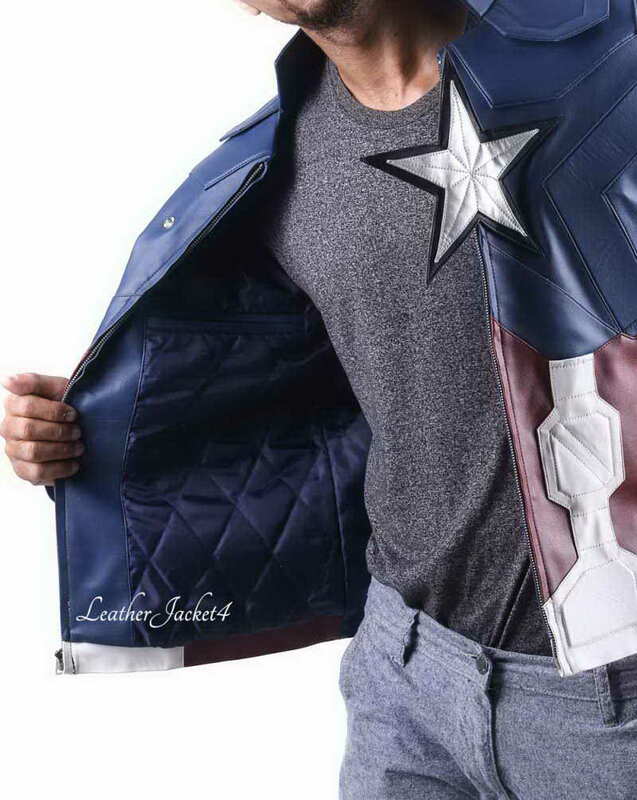 This superhero jacket is inspired by Chris Evans from the movie Captain America Civil War. 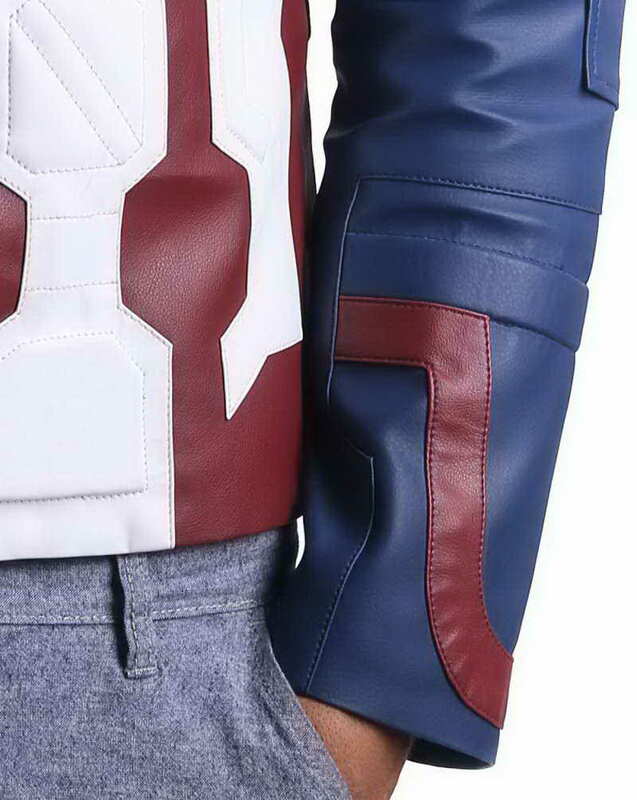 We are once again seeing the exciting rendition of Marvel’s First Avenger Captain America jacket. A neat design and stitching expertise of our adroit seamstresses can rightly amplify the capabilities of hidden captain inside you. 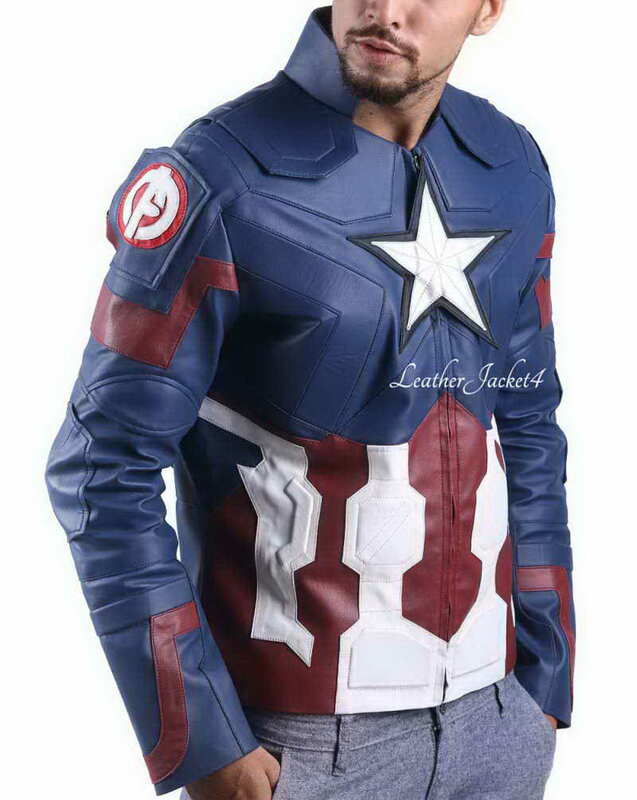 Captain America jacket has all face lifting style and heroic color combination that speak itself for its impressive impressions, even if you are not a cosplay person but it will let you swanker while you walk on to the costume party floor. 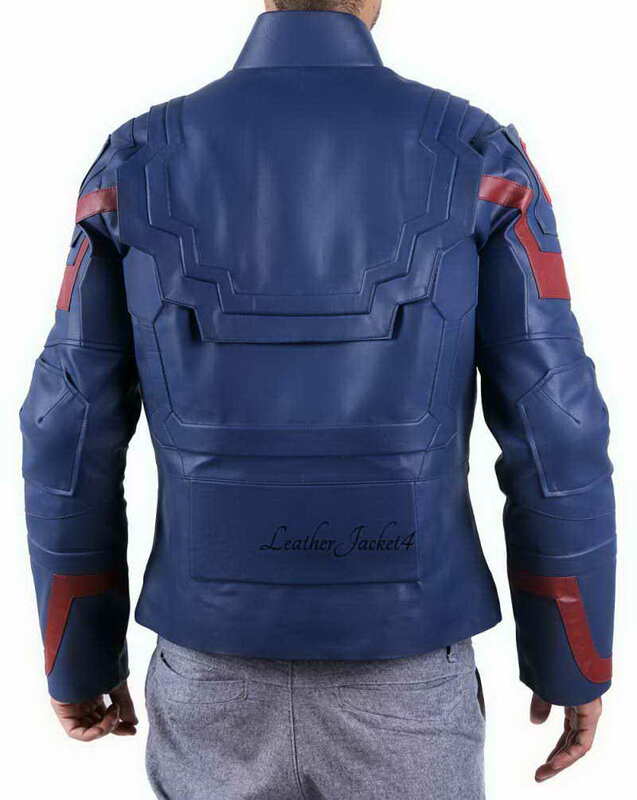 Infinity War Captain America jacket is hand-crafted using top-notch real leather. 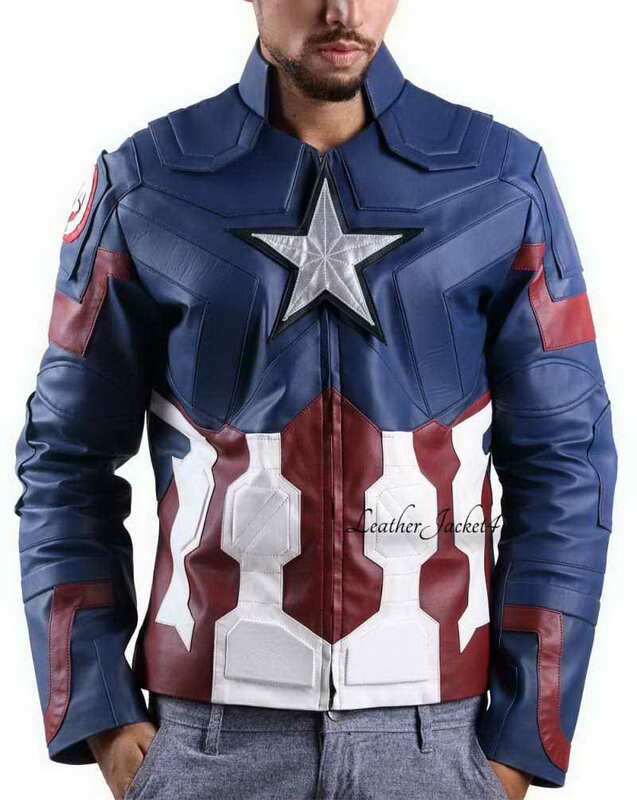 This superhero jacket comes in blue with white and red quilting patterns on front. 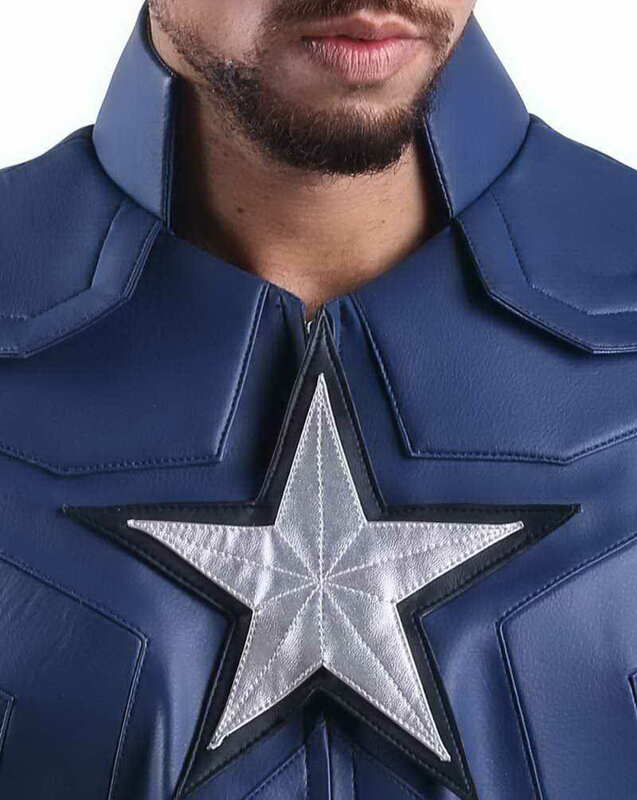 There are creative padding patches invested around shoulders and neck, and also includes a shiny white star in the middle of a chest as the symbol of Captain America Costume. Half erect collars and inner linings for a comfy feeling. And do we need to tell about essential pockets! 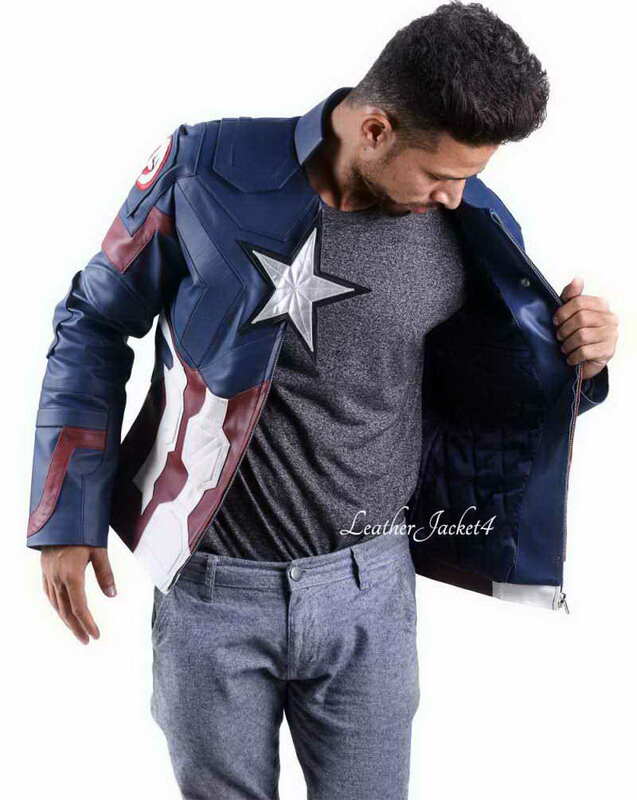 It is not the first time II'm buying a Captain-America Jacket , I am a crazy lover of this jacket you may find plenty in my wardrobe already. I just received another one from LeatherJacket4, and to be honest, it looks amazing. beautiful design and fits like a glove. The leather is excellent, their tailors did a phenomenal job by paying so much attention to every detail of the jacket. 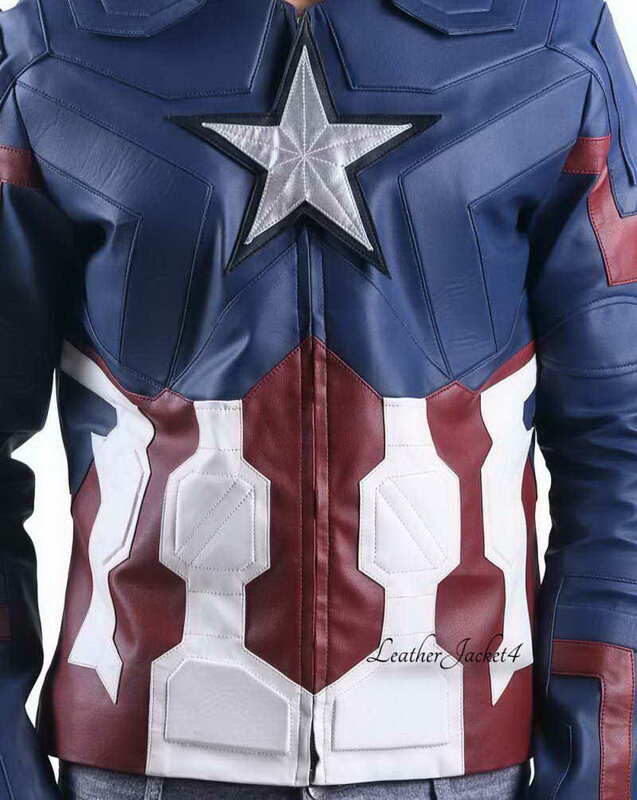 My love for Captain-America Jacket is half fulfilled after II've bought this jacket. It fits like glove, I can try this on the upcoming Halloween party. Thanks in advance. You definitely recommend to other friends.